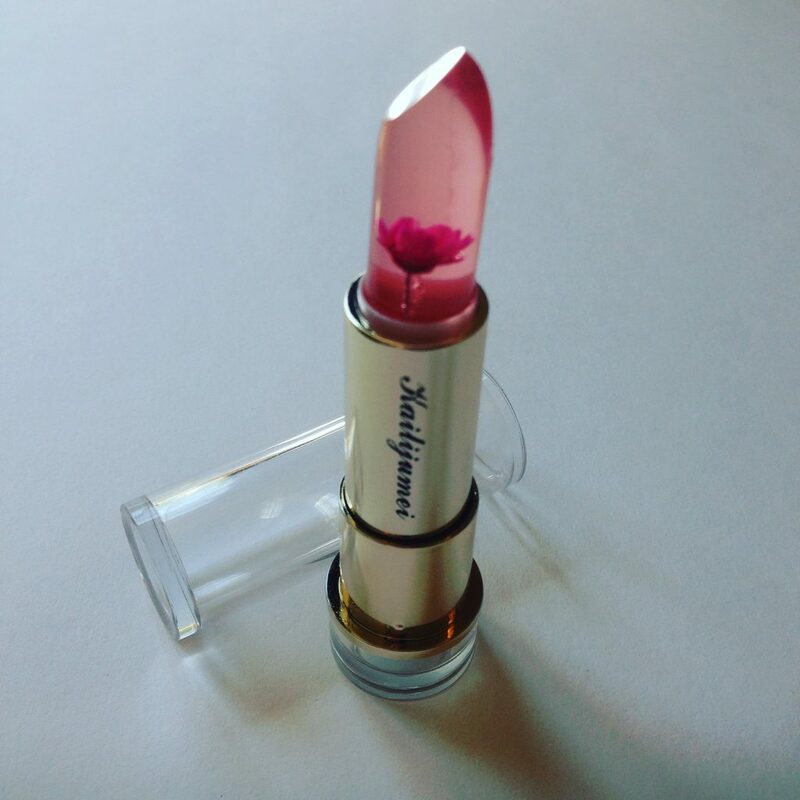 It’s a jelly lipstick with a tiny flower inside, what more can I say? 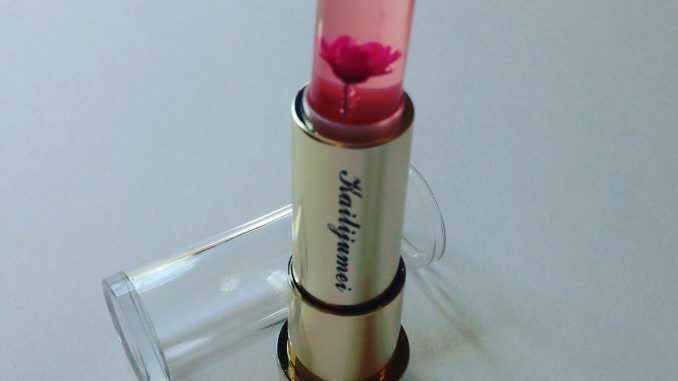 Yes, that right there is a jelly lipstick with a teeny tiny flower inside. It smells of jelly too. I haven’t tried to eat it though. It originates from Chinese brand Kailijumei, who had the 100% genius idea to create a see-through lipstick with a tiny flower and gold flakes inside. 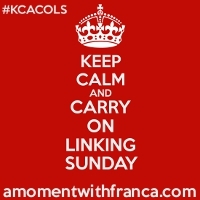 Because the world totally needs that right now, doesn’t it? We need more silly, more crazy and substantially less of all the bad stuff. It’s actually more of a tinted lip balm than a lipstick. Each of the three shades gives your lips a sheer, glossy wash of colour, which varies depending on your body temperature. The shades themselves run from pink to orange, with the tiny flower as your guide to the eventual colour. Although it looks very artificial, the company say it’s made from natural ingredients including cocoa butter, olive oil, and lavender oil. Unsurprisingly, the social media world has gone nuts for the jelly lipstick and tiny flower combination. It’s the sort of thing that Instagram was made for. And inevitably demand has outstripped supply, meaning that most of the jelly lipsticks currently available to buy are probably fakes. I’m pretty sure this one is a fake. For starters, the originals are around the £20 mark, whereas I paid a whole £2 for this on eBay. Apart from the price, the little details give it away. The placing of the lipstick is slightly wonky, there are none of the promised gold flakes and the whole casing feels quite insubstantial. Now, in all the reviews I’ve read of this so far, people have said that it’s too pretty to use, so they’re not going to. So the issue of whether you’re buying an authentic original or not may not matter if you don’t plan to use it anyway. And speaking of eBay madness, I have one piece of advice for you: Don’t eBay drunk, friends. Online shopping and wine do not mix. How do I know this? 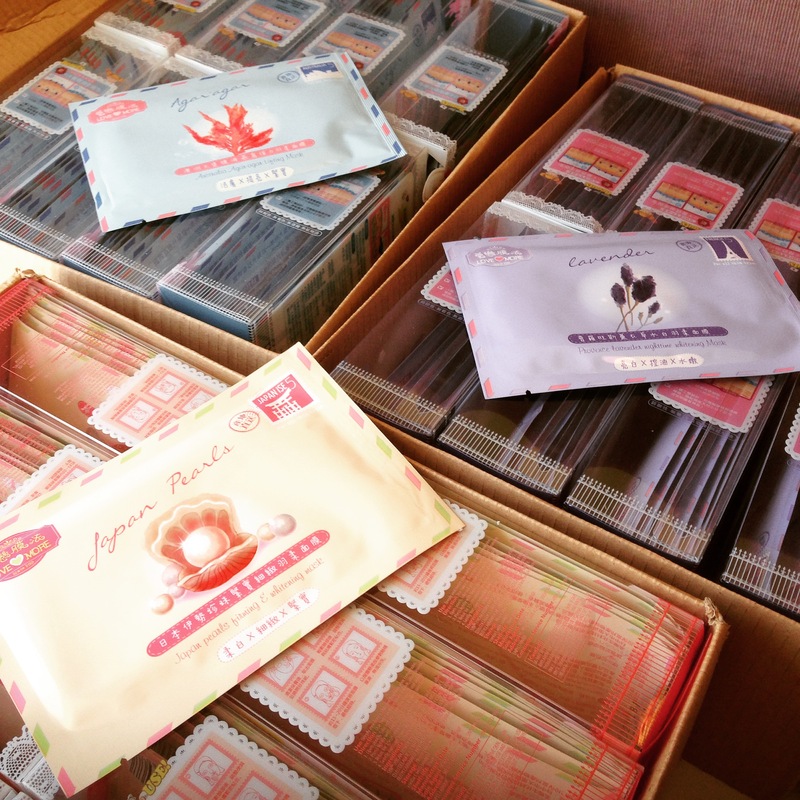 Well, I’m now the owner of hundreds of very expired sheet masks. I don’t know what I was thinking. I was just browsing and got carried away. Also, wine.